There’s been no time in Internet history, as of right now, that there’s been this solid trust that’s been established where consumers are now spending liberally on the Web for digital or tangible goods. This online e-commerce movement however is still an enormous challenge for the majority of online and offline merchants who are wanting to jump into the action. Also, more than any time witnessed before, online consumers are conditioned to expect online discounts via coupons, daily deals, or gigantic promotions which makes it difficult for the majority of smaller retailers to set foot and build profit. Developing a sound pricing strategy is critical for the online retailer, as their customers can instantly abandon their Website storefront with a quick click of their mouse if they don’t like their webpage aesthetics or pricing. So it’s really no surprise how many merchants are not successful as a result, this primarily because of their lack of preparation, poor market research and inadequate analytics. So listed are some of the basic guidelines on how pricing should be established, so those elusive online customers will keep coming back while keeping your competitors away. The majority of online retailers will become so enamored with their competition that they’ll lose focus on what’s important, such as their bottom line. Preventing this needs an inventory and intimate knowledge of what you have to offer, your product lines as well as your profit margins. What makes your product stand out and makes it unique for instance. You’ll also need to know the complete and exact “out the door” costs such as the marketing costs, shipping costs, additional taxes, ecommerce applications, web hosting, payment processing, and after the sale customer service. You’ll also need to know your return policies or your policy for defective or damaged goods. What type of warranties or guarantees do you offer. You will have to calculate all of these fixed costs when calculating your profit margins. So knowing all these costs beforehand is important otherwise the venture will prove fruitless from the beginning. If you know your product and your profit margins after all the fixed costs, then most likely you know who your direct competition is as well. You should then also have a firm leg up on the majority of these competitors. The majority of online retailers will just omit or are reluctant to perform this due diligence, and as a result will leave profit on the table or even suffer financial loss. What you need to do and know is analyzing your competition on every level. You’ll need to know what niche and category as well as what products and pricing they offer across the Web. This way, you’ll be able to have a much clearer picture of where or how to price your own products. When you place your items on sale, you should then know how to attain the highest potential profit margins. You’ll need to do a complete analysis on your strengths as well as your weaknesses. Now that you know where your inventory stands along with who your competition is, you can then make accurate assessments on exactly where you sit in comparison. You may also have some exclusive products that you offer, which you should be considering for premium pricing, but you should also know the temperature of your community of followers. Take advantage of all what social media has to offer by sharing news that you have this unique higher quality product or service available. Then encourage your customers to write about them in the form of testimonials, ratings or reviews. How you decide to price these items will also have significant impact on your profit margin, so be extremely careful on how you choose the appropriate timing, based on supply and demand. You should be altering the prices appropriately. The same principle also holds true for those products which once analyzed, you deem to be inferior to your competition. Also macro follow the supply and demand of your biggest competitors and then price the items accordingly. What you need to be is as fluid as possible in your pricing, this based on your customers needs as well as the proficiency of your competitors. This should in turn reap the highest possible profits in today’s ultra competitive online retail environment. As gauging the level of your competition has been addressed already, what you need to know and decide is understanding the needs of your customers. Through analytics and social media as well as through seeking direct customer feedback, or using other vehicles such as email, you will know the general quality of your products, or services, as well as your price points, etc. Make it important in your overall process to know this valuable feedback when you decide to price your products while letting your customers know that they have been heard, and their opinions are appreciated. Concentrate on making all your prices dynamic rather than they being set static. Also, for selected or new products, consider offering them at no charge, or on a limited trial basis, and then have an upgrade or an OTO (one time offer), offering premium features added to the original basic package. If you have any type of online retail Web presence, then the chances are good that you’ve invested some time in developing your Internet business, including marketing and site development. But to go just beyond establishing pricing strategies, what you also need to know is how your customers tick. What makes them buy. Some tactics are old and established while others may be completely counterproductive. 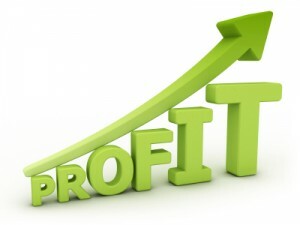 So you should educate yourself with maximizing your bottom line profit. Know why you should be pricing something at $10.99 rather than $11.00. The Internet is full of theories on why, most from renown experts in social science who have long studied the psychology of proper pricing techniques, so do your research. There are numerous sources which provides solutions dedicated to the science of concise pricing intelligence. If you’re serious about taking your online business to the next level, then it’s vital to research as well as educate which course of action to take before you begin.